Fantasy katana sword lovers unite! This steel dragon katana features a 27" blade met by a cast zinc alloy habaki and tsuba for a custom look and feel. 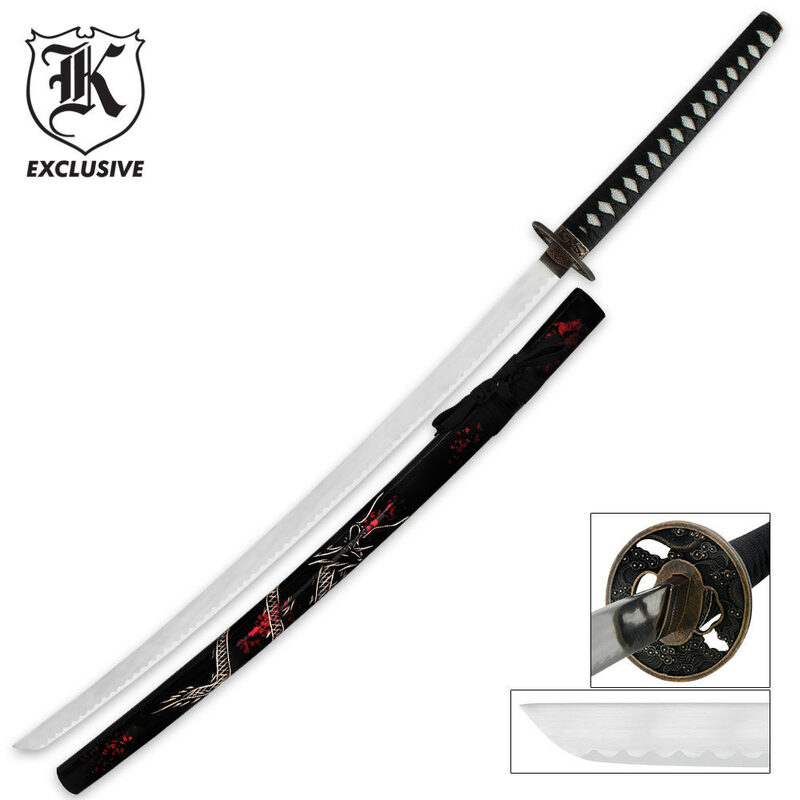 The hardwood handle is covered in faux ray skin and wrapped in black cord like traditional Samurai katanas. The hardwood scabbard has an intricate and eye-catching design for added flare. Measures 40.5" overall.